Our mission is to create and fill the world with high quality games for every genre. Party card games, board games, family friendly games and video games alike are our passion. Our mission at DRNK Games is to create memories. We want society to put the cell phone down for a few hours and actually play with their damn friends again. It’s been a lot of fun but it’s time to stop letting the phone control your life and actually socialize again. We make games; that’s what we’re about. In turn, our games create new communities of friends which creates the byproducts of fun conversations, ridiculous rants, a lot of laughs and friendships that last a lifetime. Wrangle up your friends, or the strangers at the table next to you, and get your DRNK on. It'll be a lot of fun; we promise. DRNK Games is located in Orlando Florida and was established in 2017. After our founder Matthew Gregory constructed our break out game titled Drinkquizition DRNK Games was born and really hit the ground running. Since then we have created several prototypes and a beta version of Drinkquizition. We are finally ready to release the final version and have since started working on some other games as well. Currently we have a few other party card games, board games and expansion packs in the works. We look forward to bringing you many more titles in the very near future. The time has come to PUT DOWN THE F*CKING PHONE and interact with your friends again by kicking it old school and getting back to basics! You gon’ learn today! 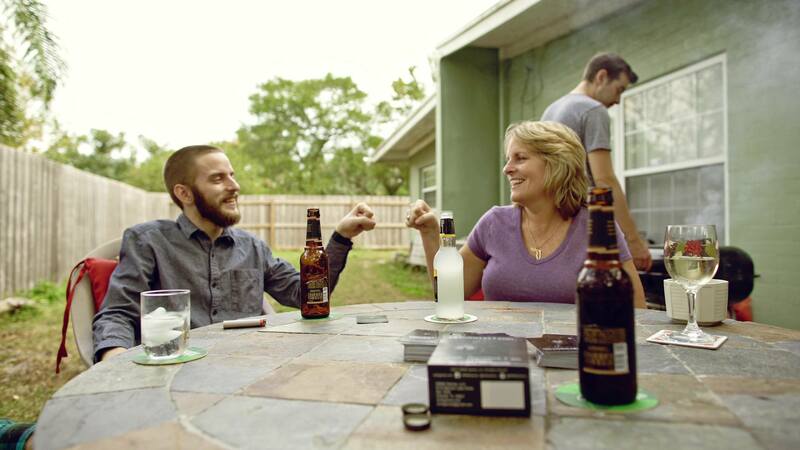 Drinquizition is the trivia game with a boozy flair. This is NOT your mama’s trivia game. Make a margarita (maybe even straight up tequila if you’re brave enough) or a beer; whatever you want, and get ready to drop some knowledge! Do you know where Elvis Presley’s Mansion resides? No? Well we do; and you will too! 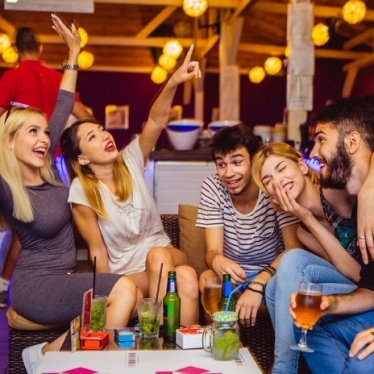 Because Drinquizition combines fun and laughs, with social interactions and friendship, throw in our eclectic and weird tid-bits of knowledge and BAM! Grab some buds, or strangers, and get your sh*t together! Looks like school and spring break just had a baby. Why wouldn’t you want to play this?